Nothing ruins a sports movie worse than an actor who, to put it mildly, stinks at sports. 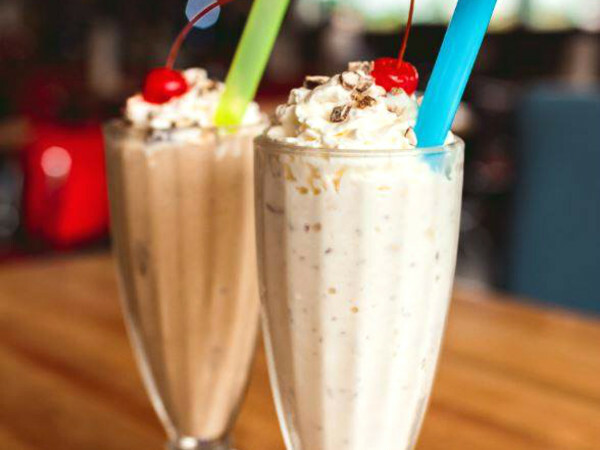 Like William Bendix playing Babe Ruth and swinging a bat like a Little Leaguer – the kid who bats ninth and plays right field. Or Raquel Welch playing a Roller Derby queen in Kansas City Bomber and wobbling around the track, trying not to fall. Or Gary Cooper playing lefty slugger Lou Gehrig in Pride of the Yankees and looking so uncoordinated that producers had to film him batting righty and running to third base – and flipping the film in post-production. Michael J. Fox as a basketball player in Teen Wolf, Tim Robbins as a pitcher in Bull Durham, Anthony Perkins as a ballplayer in Fear Strikes Out, Keanu Reeves as a quarterback in The Replacements – all had movie-goers thinking, “I can play better than that guy.” And being right. 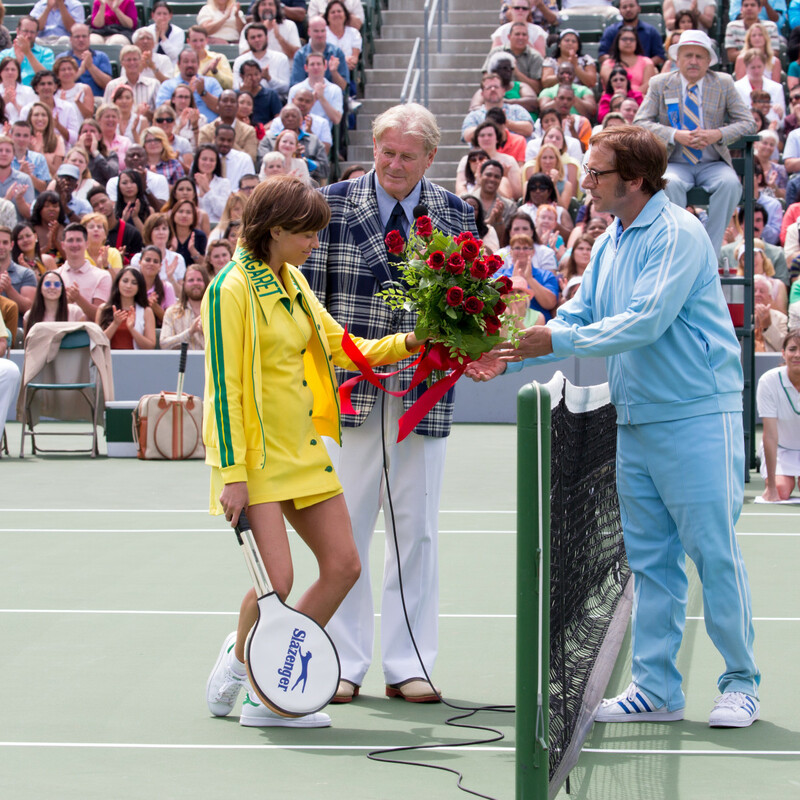 Battle of the Sexes, starring Steve Carell and Emma Stone, debuts in Houston and nationwide on Friday (September 29). 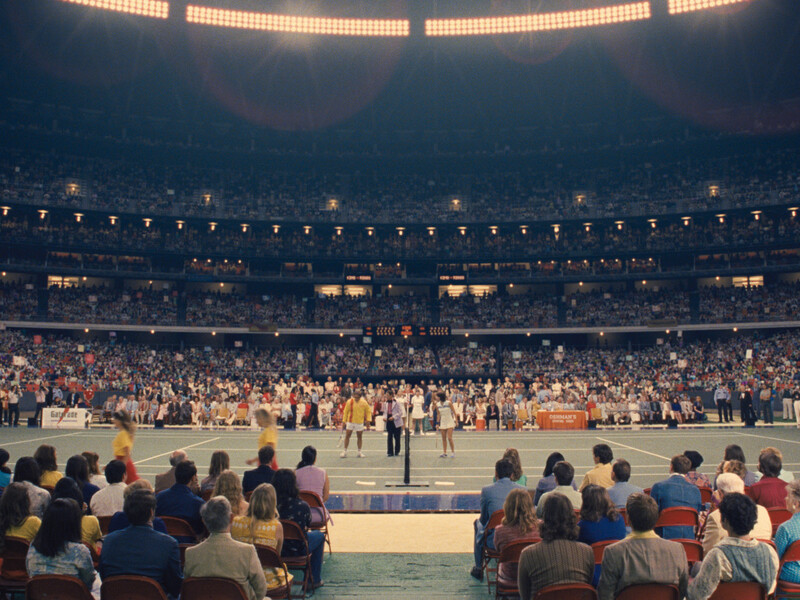 You will believe, without squinting even, that it's Bobby Riggs vs. Billie Jean King in the famous 1973 tennis match at the Astrodome – maybe the most famous tennis match ever played. Spadea certainly has the resume to teach an Academy Award winner (Stone for La La Land in 2017) how to hit a cross court forehand. 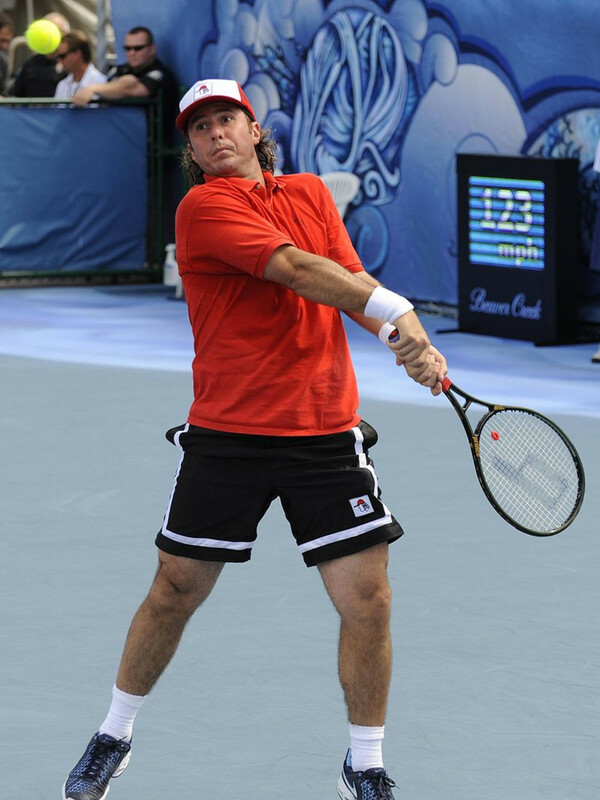 He played on the pro tennis tour from 1993 to 2011, cracking Top 20 in the world in 2005. Along the way, he defeated a few so-so players named Roger Federer, Andre Agassi, Rafael Nadal, and Pete Sampras. He once took a set, 6-0, from the great Federer. 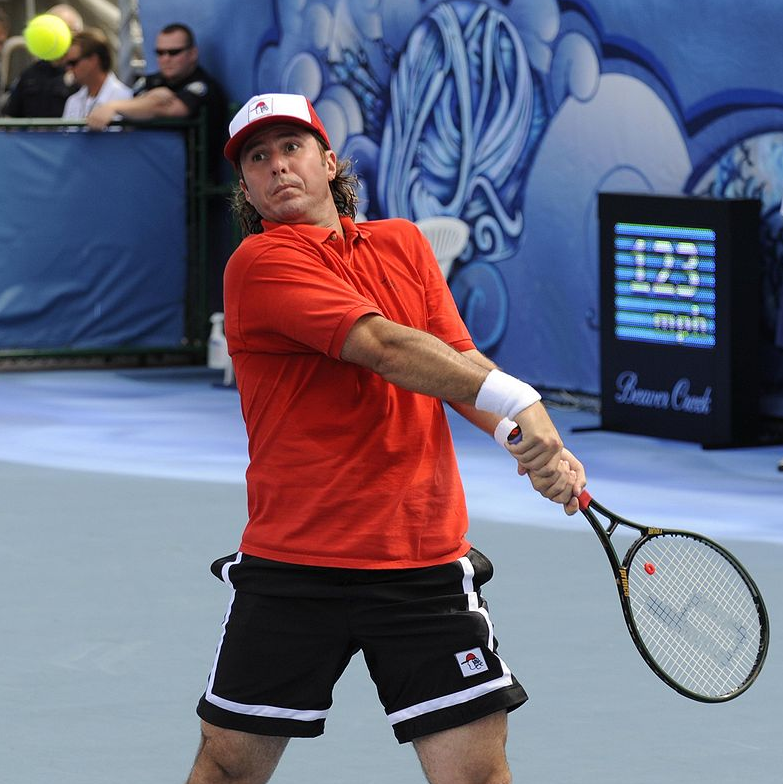 Spadea made more than $5 million for smacking a yellow ball over a net. “I was thrilled when they asked me to help out. I went to the premiere in Los Angeles, so I’ve seen the movie. I think it’s great. Some of the effects are pretty incredible. 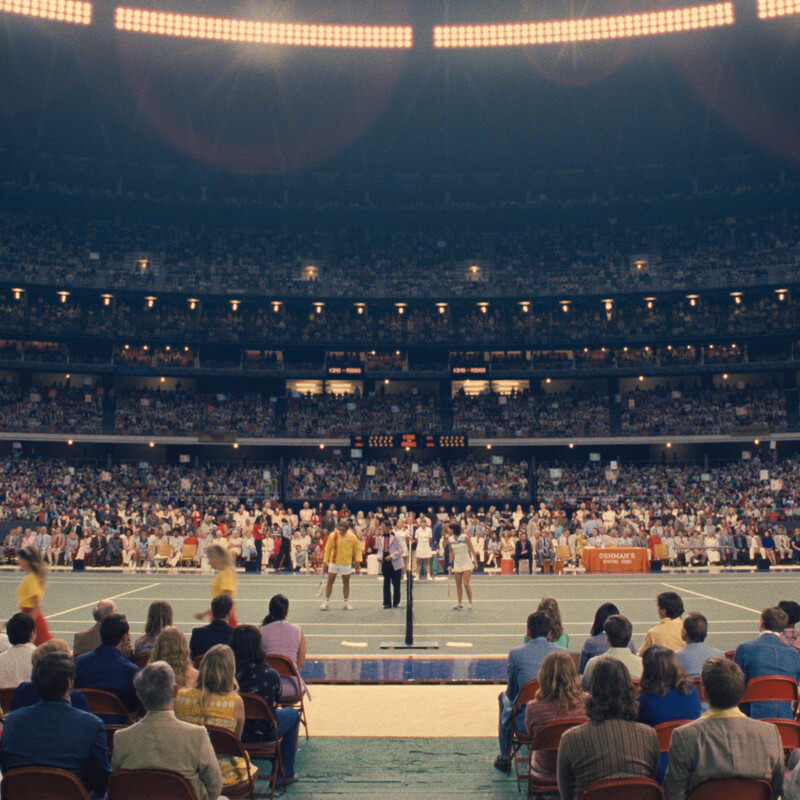 We shot the whole thing in Los Angeles, but they make the match look like the original in the Astrodome,” Spadea said. I asked Spadea, how much of the tennis match is you, how much is Carell? Here’s some background on the "Battle of the Sexes" that I didn’t know. The match, which aired on ABC in prime time and attracted 50 million viewers in the U.S. (90 million worldwide), was played on September 20, 1973 – a Thursday night. The match was billed as “$100,000 Winner Take All.” Riggs was paid another $50,000 to wear a Sugar Daddy jacket during the match. He wore it during the introductions and warmup and start of the match, but took it off after three games. King, 29 and at top of her game, was carried to the ring on a Cleopatra-style carriage by barechested men. Riggs, 55 and a tennis hustler, was carried on rickshaw by scantily clothed female models. Before the match, Riggs presented King with a giant Sugar Daddy lollipop. King gave Riggs a live piglet. And it was on. King won the match in three straight sets, but Riggs was ahead 3-2 with a break in the first set. That’s when King started running Riggs side to side and wore the old guy out. Riggs, thinking he would win easily, as he had done against women’s No. 1 player Margaret Court several months earlier, was not in the best of shape for the match. Tennis great Jack Kramer, an outspoken critic of the women’s game, originally was part of the ABC broadcast team. However, King insisted that the network drop Kramer. “Either he goes, or I go,” King famously threatened. 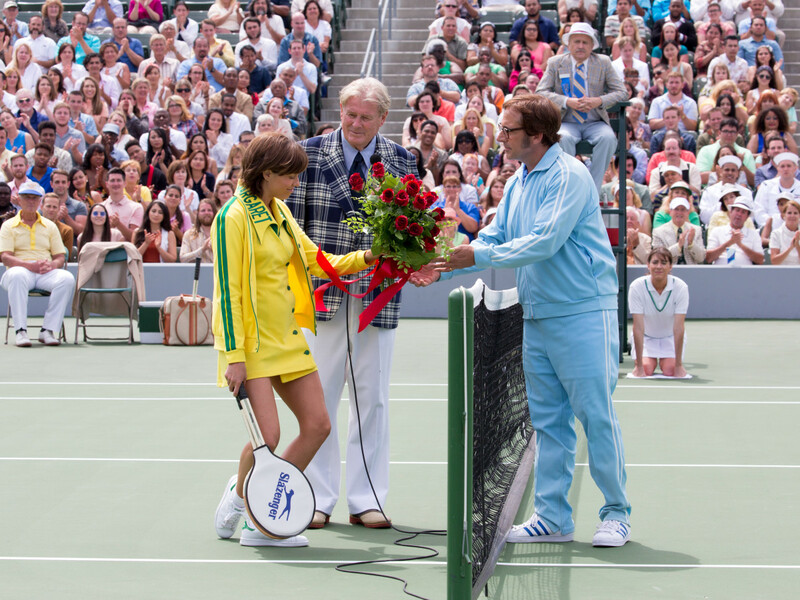 If Riggs had won, there was a plan for him to face Chris Evert on a clay court. Evert was just beginning her amazing streak of 125 consecutive wins on clay. 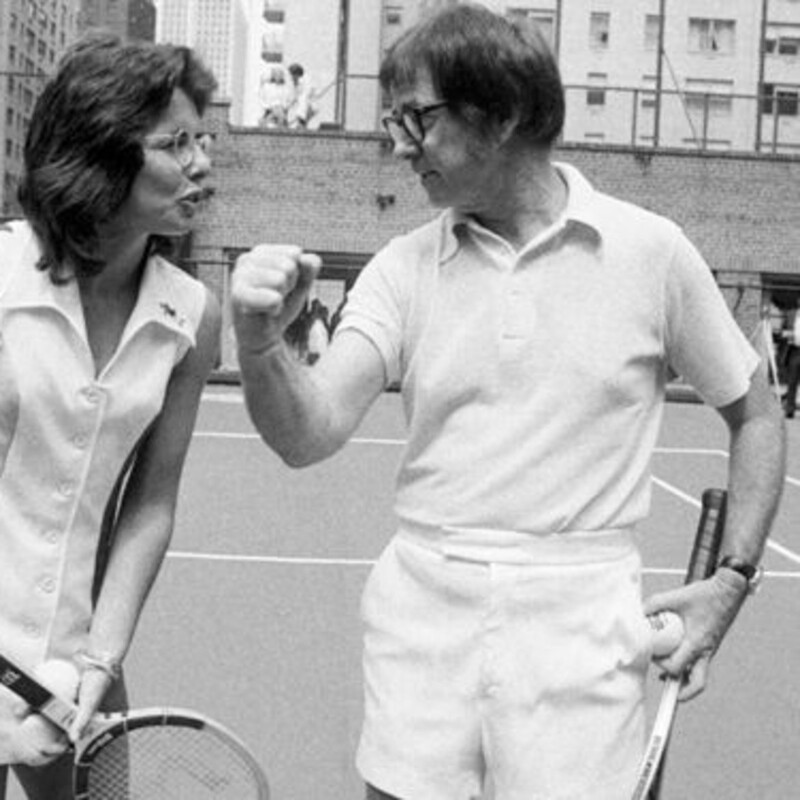 The "Battle of the Sexes" drew the biggest crowd, 30,472, in tennis history … at the time. The record stood until 2010, when 35,000 fans watched Kim Clijsters beat Serena Williams in an exhibition match in Belgium. And here’s the factoid that surprised me the most. 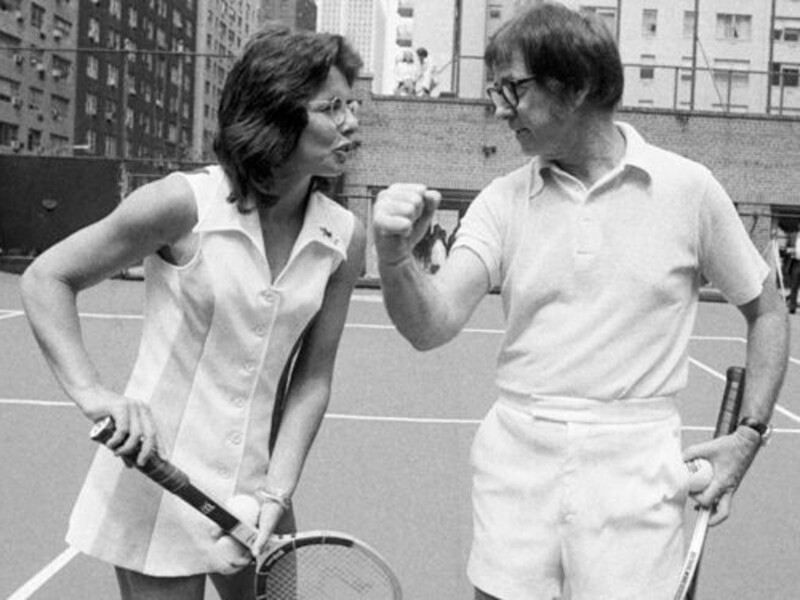 The same week as the "Battle of the Sexes," King played in a Virginia Slims tournament at the Westside Tennis Club in Houston. King may have won $100,000 for beating Riggs, but the tournament (and $7,000 first prize) was won by Francois Durr. King, the No. 1 seed in the tournament, was defeated in the semifinals.